The UK’s most exciting artist; singing, song-writing and producing phenomenon, Labrinth today announces his debut UK tour for February and March 2012. 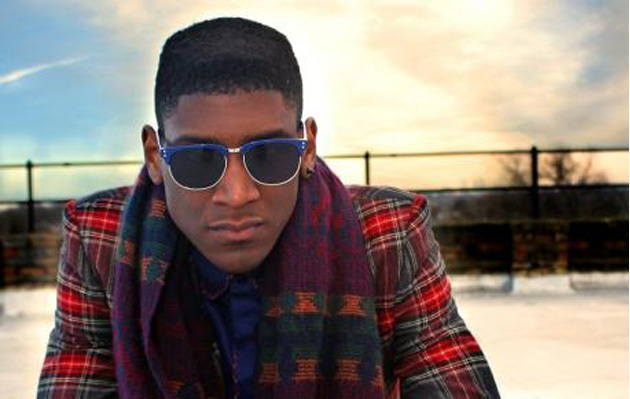 A born performer, Labrinth is set to wow crowds as he tours the UK early next year. Attracting rave reviews for his live performances over the summer festival season, where he performed to packed-out crowds at the likes of Glastonbury, Wireless and Global Gathering, this tour is one not to miss. Since featuring on, and producing, Tinie Tempah’s Pass Out and Frisky, Labrinth has rapidly become one of the most significant emerging artists of the past 18 months. Already the most sought after producer in the game, working with the likes of Gorillaz, Plan B and Ms Dynamite, Labrinth became the first act in six years to not join Simon Cowell’s SYCO label via a TV platform. He’s already had two smash hits as a solo artist; Let The Sun Shine which hit the number three spot, and latest single, Earthquake which went straight in at number two, making him THE one to watch in terms of UK talent. Originally from Hackney, east London, Labrinth is the youngest of nine musically gifted siblings. He discovered his talent for music by going to the local studio whilst still at school. Making beats at the age of 13 and playing guitar and keyboards by 15, Labrinth is completely self-taught. Tickets for Labrinth’s debut UK tour go on sale Friday 4th November at 9am priced at £15.00 LONDON / £13.00 REGIONAL (subject to booking fees), available from www.livenation.co.uk and www.gigsandtours.com.